Battalion Chief Brian White began his career with the Superstition Fire and Medical District in 1996. Prior to his employment with SFMD, Brian worked as a reserve firefighter for the Rural/Metro Fire Department from 1994-1996. 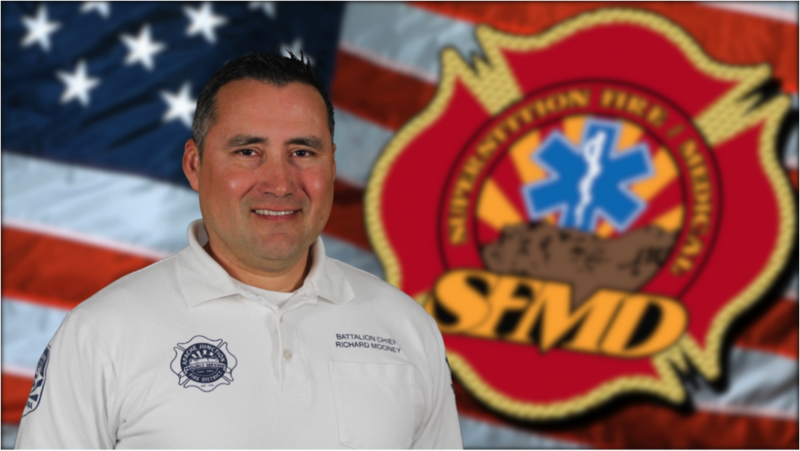 Since 1996, Brian has promoted through the ranks at SFMD working in multiple positions including Engineer, Fire Captain, Battalion Safety Officer, and most recently Battalion Chief. Currently, Brian is assigned as the A-Shift Battalion Chief. Chief White holds an Associate’s Degree in Liberal Arts from Rio Salado College and a Bachelor’s Degree in Public Administration from the University of Northern Arizona. He is a nationally certified Incident Safety Officer, Blue Card Incident Command instructor, and is currently working towards his Master’s Degree in Organizational Leadership. Brian was born and raised in Mesa, Arizona. He and his wife have two rambunctious boys and a boxer named “Ms. Sue”. They have made Apache Junction their home for the past 20 years and enjoy living nestled along the Superstition Mountains. In his free time, Brian enjoys time with family, hunting, fishing, hiking, and 4 wheeling in the family Jeep. 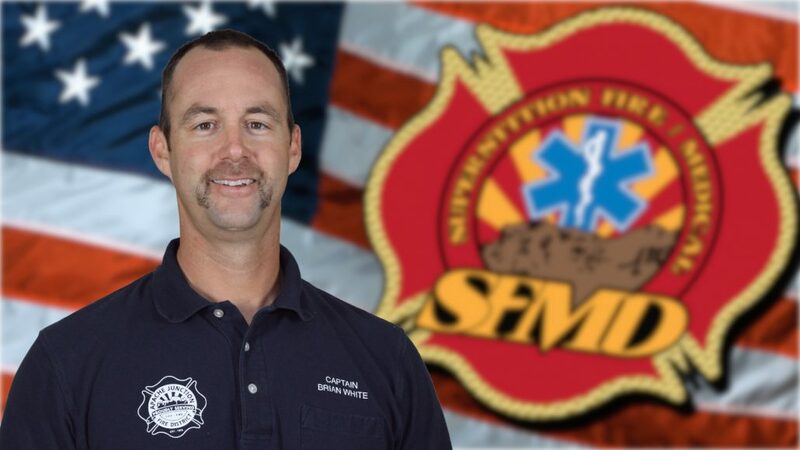 Having grown up in our community of Apache Junction, Battalion Chief Cranmer has a deep abiding love and commitment to the people of the community of Apache Junction. He started his career at the Apache Junction Fire District in 1994 as a Firefighter. 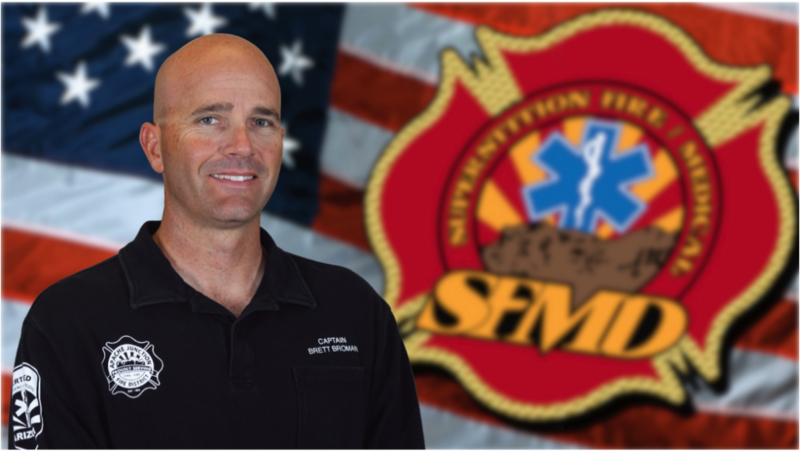 Jeff advanced to Firefighter Paramedic in 1998 after finishing the Maricopa County Medical Paramedic Program. In 1999, Chief Cranmer promoted to Engineer and then promoted to Captain in 2001. 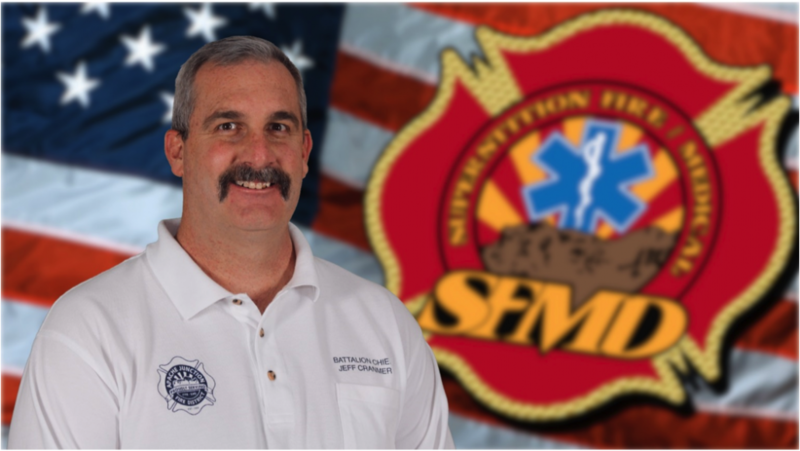 Since joining the Apache Junction Fire District, now known as Superstition Fire and Medical he has worked throughout the community in Apache Junction and Gold Canyon in the different capacities and ranks. Battalion Chief Cranmer then pursued and became a Battalion Safety Officer in 2010 and more recently completed the Public Administration BAS program from Northern Arizona University 2014. Currently, Chief Cranmer serves as the B Shift Battalion Chief. Cranmer has the privilege to support our community and staff by working with the SFMD Explorer Program, SCBA Team, and Facilities Team. Chief Cranmer volunteers extra time at the Apache Junction High School as a Fire Service Foundations Program Adviser and as a East Valley Institute of Technology Fire Science Adviser. Together he and his wife Suzi enjoy their three son’s Garrett, Thomas, and Samson. Chief Cranmer believes faith, family, and service are core values to live by at work at home and while serving the community. Battalion Chief Brett Broman has been an employee of the Superstition Fire and Medical District since 1995. Brett became a paramedic in 1998 and has since travelled through the ranks of Engineer, Captain, and Battalion Safety Officer. His latest promotion was in 2014 when he became the A-Shift Battalion Chief. Chief Broman obtained his Bachelor’s Degree in Fire and Emergency Services Administration from Colorado State University, is a nationally certified Incident Safety Officer through FDSOA, and recently attained “Blue Card” incident command instructor status. Brett is a native Arizonian, growing up in the East Valley. He has a wife, two beautiful daughters, and a new dog, Jax. During his off-time, he is an avid outdoor enthusiast who loves to spend time with his family, hunt, and play golf.